It is now possible to generate visual reports that analyze student activity in your course. 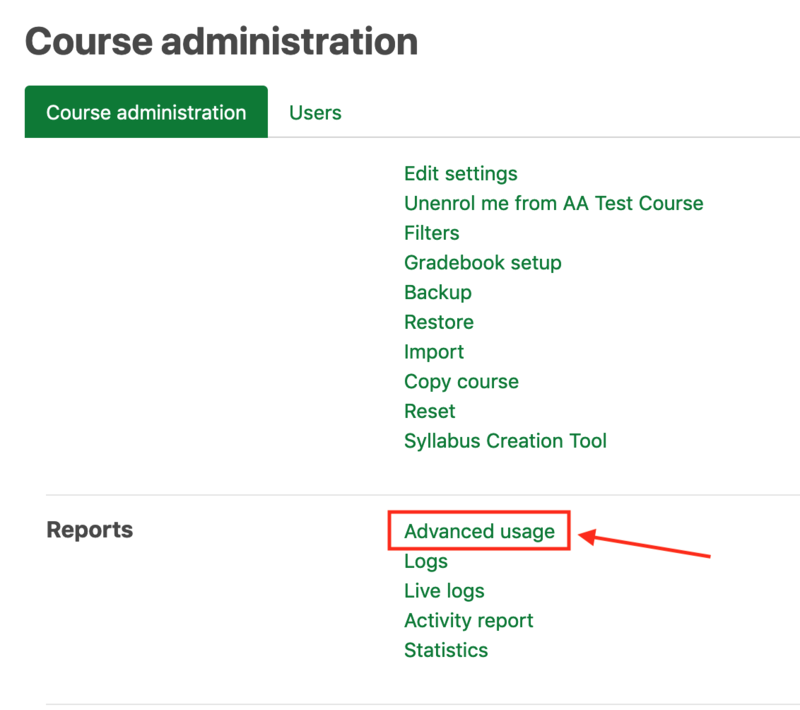 Instructors have the option to choose from a number of configurable reports that can help them see patterns of student access, engagement, and performance. The new learning analytics suite in eClass was locally developed as a part of a TLEF grant under the direction of Dr. Ali Shiri, School of Library and Information Studies. On the Course administration page, click on the Reports tab, then on the Analytics (Beta) link. 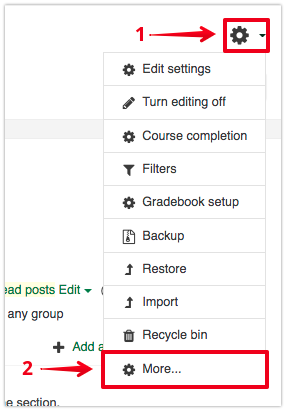 If there is no Reports tab, then the reports may be under the Course administration tab instead. The analytics landing page has the option to Add a report or Schedule a report. 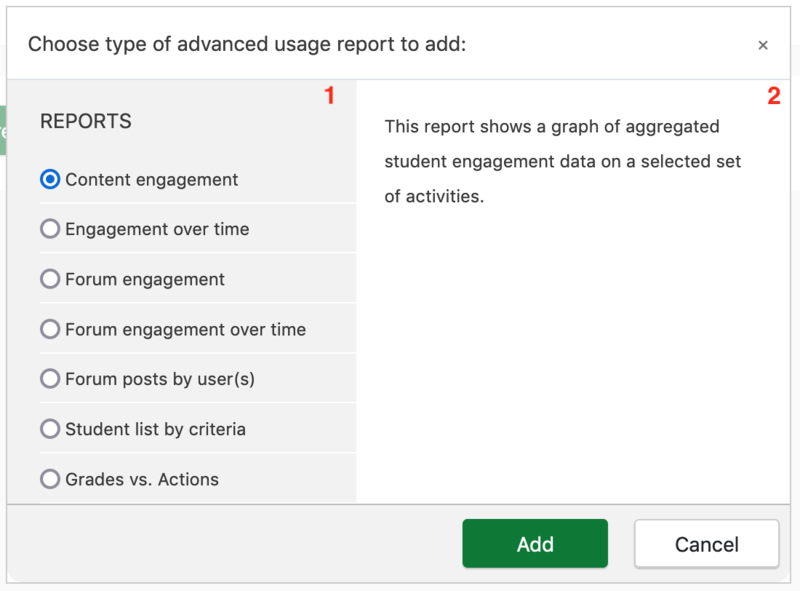 Added reports are graphs visible in your browser; scheduled reports will generate a list of students matching specific criteria and email them to you once a week. For instructions on how to access your profile, please see this article. This can be especially useful for easily comparing analytics between multiple courses. Clicking Add a report will open a dialogue box showing a list of all the available report types on the left  and a detailed description of the selected report type on the right . The list of available reports may vary depending on your role in the course. Student list by criteria - this report produces a list of students' contact information that can be filtered on grade, level of participation, or a combination of both. This report can be used to identify students at varying levels of performance and engagement to provide feedback. This report provides a copy-able list of email addresses or can be exported to csv. This report is also used as the basis for scheduling reports that send weekly emails to instructors for specific student criteria. Grades vs. Actions - this report displays a scatter plot of grades vs. actions. All reports contain a basic set of tools to define the range of data for visualization. A detailed explanation of these features is available in the article Common Features of Learning Analytics Reports. Clicking Apply filter within any report will show the default results for the report. It is also possible for instructors to enable learning analytics reports to students for their own data which can be useful in self-evaluations or reflections on course performance. More information and instructions for doing this are available in the article Allowing Students to View their Own Learning Analytics Reports.